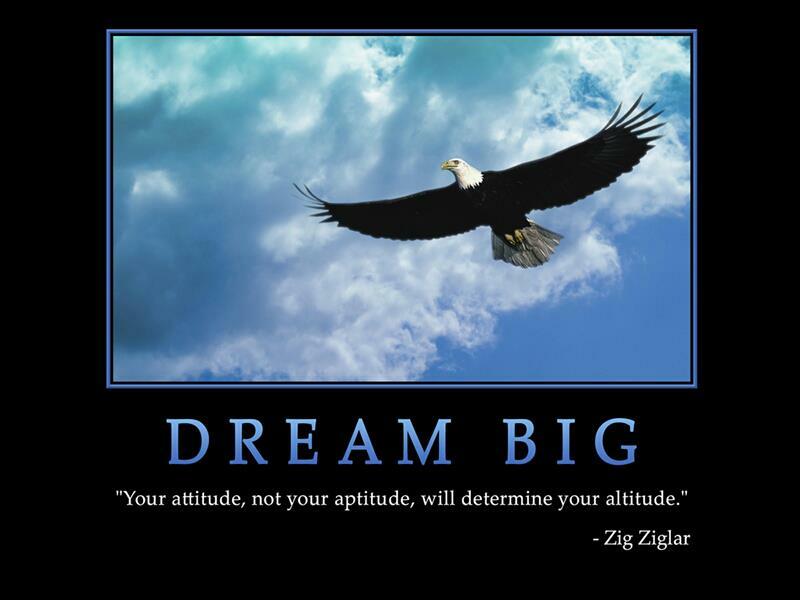 The Tracy Brown Chronicles: Dream BIG! As I prepare to celebrate my birthday tomorrow, I find myself reflecting on the past year to see how far I've come. One of the things I often say is that we should all be trying to outdo ourselves and not trying to outdo other people. Instead of trying to get a car that's better than our neighbor's, a job that's better than our siblings' jobs, a man that's better than our girlfriend's man, we should be competing against our own track record. Rather than trying to compete with our peers, the real competition should be within. Each year, I try to bypass my position from the prior year. I look back at where I was financially, spiritually, mentally, even physically and try to do better than that. I am my own fiercest competitor. It's not about rising to meet the bar that someone else has set in their life. It's about me rising to my own highest level, beating my own records, surpassing my own milestones. The word "settle" is not in my vocabulary. I refuse to live a mediocre life. We only get one shot at it. I intend to make mine tremendously significant. As I prepare to spend tomorrow in gratitude for another year of this wonderful thing called life, I am excited about what lies ahead. I think I've done pretty well in my life so far. There are things I've achieved that my younger self never thought possible. There are accomplishments I've made which, in turn, have served as inspiration for my children and their friends and even for my own peers and elders. I am living proof that anything is possible with God on your side. And I am a living, breathing example of my favorite mantra - DREAM BIG! I have seen some dreams come true, and seen others deferred. But I am not done dreaming yet. There is still so much more ahead, bigger and better things to achieve, places to go, and heights to reach. I am just getting started. Happy Birthday Sis! I love you and I am inspired by you.